2 GREAT EVENTS/CLASSES THIS WEEKEND!! Come to our Annual Seed Exchange this Friday, March 3rd and on Sunday, March 5th we have our 1st class-Making Sourdough Bread! Don’t miss them!! Friday, March 3rd—5 pm to 7 pm FREE! If you are looking for free seeds for your vegetable or flower garden, come to the Santa Fe Seed Exchange-new location! Learn how to make sourdough bread! Learn the timeless craft of how to use flour, water, salt and sourdough culture to flavor and leaven bread. It’s as simple and nourishing as it gets. Don’t be intimidated by bread making any longer. The Mobile Seed Story Broadcasting Station invites local seeds, seed keepers, gardeners, farmers, and inspiring seeds, as well as all Biodynamic Conference attendees to join in celebrating Seed Stories and Swapping Seeds. Come by to record your Seed Story, drop off some seeds, and pick some up too. We will have lots of seed saving how-to’s to distribute and we hope to bring people together to share their wisdom and inspiration of Seeds. We will be parked in front of the Santa Fe Conference Center and there is no cost to participate in this SeedBroadcast event. SEED-THE UNTOLD STORY-a must see! SEED THE UNTOLD STORY movie is coming to Jean Cocteau on Nov 16-24 . We should all go see this award-winning movie while it is here for a few days. This is right up our alley with building a sustainable, healthy community. Their goal is for SEED to inspire audiences to take action and become a champion of seeds. SEED: The Untold Story is an eye-opening environmental documentary about the dramatic loss of seed diversity and the movement to restore the future of our food, from the creators of The Real Dirt on Farmer John & Queen of the Sun: What Are the Bees Telling Us? Visit seedthemovie.com/santafe for more info on movie times and movie guests. 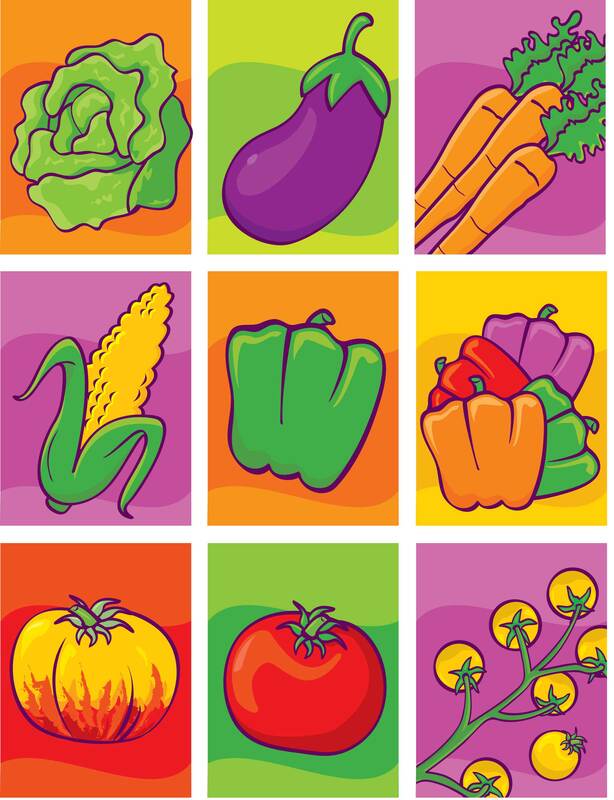 If you are looking for seeds and ideas for your vegetable garden, come to the Santa Fe Seed Exchange on Tuesday, March 15, 2016 from 3 pm-6 pm in Frenchy’s Barn on Agua Fria and Osage Ave. The City Parks Division and Home Grown New Mexico are hosting this event for all community gardens, school gardens and home gardeners. It’s free and you’ll get great seeds! The Santa Fe Master Gardeners will have several info tables there where you can get how-to info on composting, growing native plants and more. In addition The SeedBroadcast organization will have their seedbroadcasting truck present. They can answer questions about saving seeds and have seed story recording equipment to record your story. Tell your story about the seed, where you got it, how you planted it and more. See their website for stories across America. Do you have a great seed story? Tell them! The Tomato Lady will be there at the Home Grown New Mexico table inside the barn. There will be some of her tomato seeds and giant vegetable varieties available as well in case any of you want to try growing a giant this year! This is great resource for gardeners and a fabulous way to start off the growing season and catch up with your fellow gardeners. Vegetable, flower and herb seeds will be available inside the barn. There are plenty of seeds available so come even if you do not have any to share. Bring flower, herb, vegetable and other seeds if you have any. Please label any seeds you bring. The Seed exchange this year was a big success. At any given time we had over 20 people there bringing and taking seeds. Probably had about 150 people there overall. Many seeds were gone by the end. 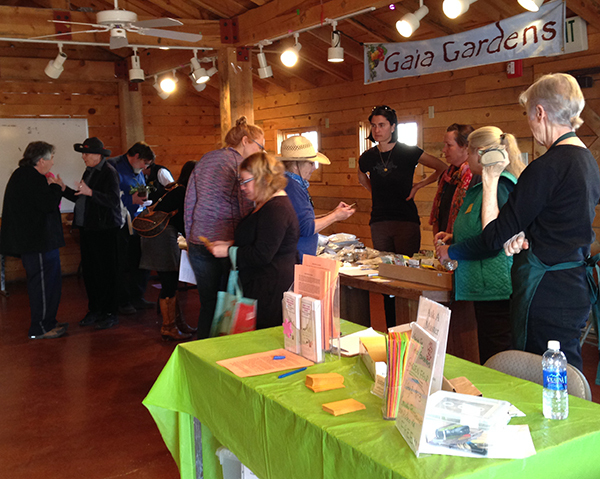 Many thanks to the Master Gardeners, Seedbroadcast and Poki Pottin from Gaia Gardens for coming and sharing. Always a fun event and a great kick off for this season’s gardening. This event and the great weather we’ve been having makes me want to get out in the garden! Jannine Cabossel, a Master Gardener and ‘The Tomato Lady’ at the Santa Fe Farmers Market will teach a class on the basics of seed starting in spring for early crops: indoor seed starting for your spring garden, outdoor requirements for successful seed germination and basic indoor/outdoor seedling care. By starting seeds indoors in early spring you not only get a head-start on your year’s food production by protecting your crops from Santa Fe’s finicky spring climate, but you also get more time with your hands in the dirt. Many new tips this year plus learn varieties that do well in our cold climate. Jannine has extensive experience in growing vegetables on her 3000 square foot garden using all organic methods. Follow her blog at giantveggiegardener.com. This class free! Become a 2014 Member for $35—includes all classes, potlucks and tour.